Hey friends of the forest! 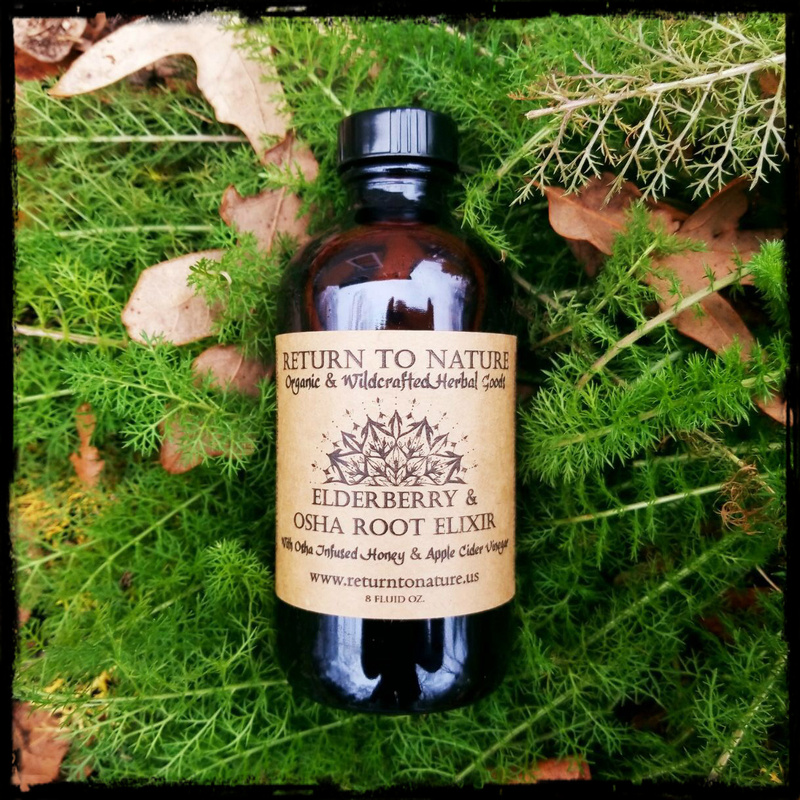 We just made a special batch of Elderberry and Osha Root Elixir for your healing needs! In this elixir we use raw local honey, raw apple cider vinegar, sustainably wildcrafted Osha infused honey, and tincture, as well as an elderberry extract to hand craft a magical blend to love your lungs! Elderberry has been clinically shown  to reduce flu length, strengthen vital immunity, and according to herbal tradition, is known as a powerful expectorant which helps the body process lingering coughs or mucous build up. Osha is also a respiratory cleanser and helps to open up breathing passageways. Try our magical elixir today! Stock up for the cold and flu season today!